Superheroes represent hope in a world full of conflict and it is up to the filmmakers to weave real-world issues in the storylines, says "Avengers: Endgame" co-director Joe Russo. 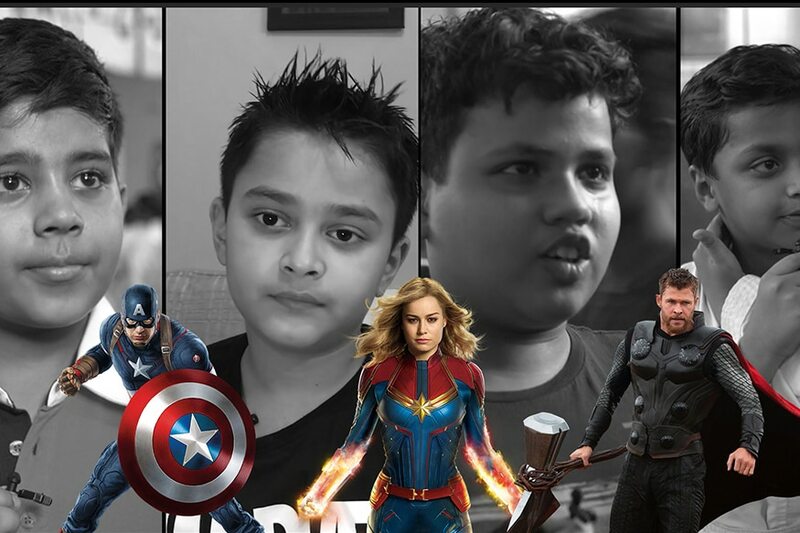 Superheroes represent hope in a world full of conflict and it is up to the filmmakers to weave real-world issues in the storylines, says Avengers: Endgame co-director Joe Russo. Just like mythology, he says, superheroes appeal to a cross-section of people. So one can be a fan of Captain America for his morality while another would be attracted to Deadpool's amorality. "They become important because they are archetypal, hopeful and accessible to global audience. There is a lot of darkness in the world and we try to infuse thematics that are valuable on a global level to these movies. You can find the code, ethics or values you can identify with. It is no different to any mythology, Greek or any gods you can think of," Russo told PTI in a group interview. "'Infinity War' has the message that sometimes villains win. It's a fairly relevant subject matter if you are an American at the moment. There is a mirror held up to society by the films that at least we try to do. This is why they have reached the level of pop culture saturation that they have." This is why, he believes, even a villain like Thanos may find acceptance in some people for his fanatical dedication to his 'altruistic' cause of killing one half of the world's population and preserving the other. "People understand that we are dealing with potential global crisis issues... He is a sociopath and has a sociopathic self-importance. But we tried to make him emotional and we gave him all the beats of the hero in the film (Infinity War). They are horrific beats -- throwing his daughter to her death in order to obtain a stone to complete his goal. People related to his fanatic dedication to his cause. "At the end, he is nuts but there are elements to his personality that are admirable to some of the audience members. It complicates the matter for them. They are not sure whether to hate or root for him," Russo says. The director says he and his brother, Anthony, have tried to decode what it takes to stand up and be a hero in "Avengers" finale. "Both 'Infinity War' and 'Endgame' ask the question: what is the cost to be a hero? Is it worth the price of standing up? That's a relevant question. "Today, if you look at these films, they are about community, they are about a community of heroes that is trying to stand up against tyranny. As waves of nationalism sweep the world, you certainly look at that and think whether it is about individualism or community. If you watch our films, you get our answer." "Our films are tonally different from those of Taika Waititi, James Gunn or Ryan Coogler. Nobody tries to emulate the tone. Fans really go along with that. They like that there are different filmmakers behind each film, like there are different writers behind the comic books. They understand the notion that depending on the author, the tone, the energy and the inflection of the characters change," he explained. "My brother and I, we try to bring psychological realism in characters. We like to deconstruct stories and I think when you look at our films - 'Winter Soldier' to 'Endgame', there's a consistent tone process, a lot of psychological realism and constantly deconstructing the universe. "So, in 'Winter Soldier', we found out that the good guys were actually the bad guys. 'Civil War' deconstructed the Avengers by splitting them up and in 'Infinity War', we did that by killing half of the characters. That's a theme with us as filmmakers and issues that are important from storytelling point." "Endgame", set to hit the theatres on April 26, features an ensemble cast of Robert Downey Jr, Chris Evans, Mark Ruffalo, Chris Hemsworth, Scarlett Johansson, Jeremy Renner, Don Cheadle, Paul Rudd, Brie Larson, Karen Gillan, Danai Gurira, Bradley Cooper, Tessa Thompson and Josh Brolin.